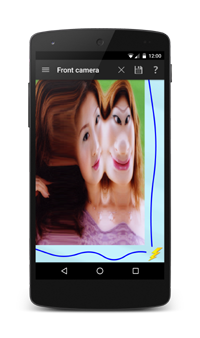 Funhouse Mirror for Android™ is guaranteed to make you laugh! Imagine a funhouse mirror you can easily re-shape by simply drawing curves along the edges of the screen. Now imagine being able to curve the mirror both horizontally and vertically. Each with any profile you want. You won't find that kind of mirror in any funhouse! And you can draw any shapes you want. You're not limited to simple curves. Use your imagination and try to guess what the reflection will look like. The results will surprise you! Funhouse Mirror can create random mirror profiles for you, providing perfect contours and endless variety. 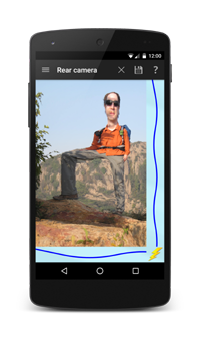 Funhouse Mirror lets you distort images from your front camera, your rear camera, or your files. The Save button enables you to use Funhouse Mirror like a camera, creating hilarious photos of yourself and your friends / enemies. Funhouse Mirror is free and there is no advertising! Permissions explained: Funhouse Mirror needs access to your camera. 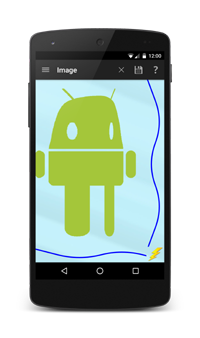 It needs access to local storage so it can display your images and save your creations. And it needs network and Internet access to show online help.